Virgin Atlantic won Best Airline Website at the Travolution awards this week, at a ceremony hosted in London. 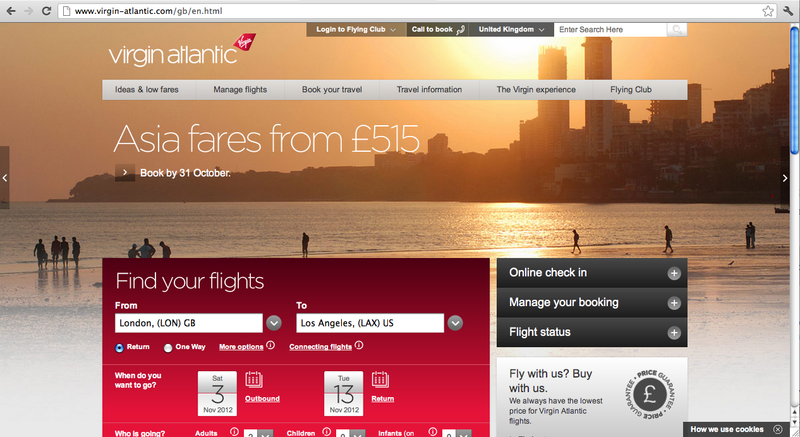 Virgin Atlantic is boasting a 15 per cent improvement in engagement of the UK homepage, with numbers of customers checking their flights increasing by 54 per cent and people checking out what Virgin Atlantic is about jumping by 40 per cent. Stated in their press release, The site was designed in conjunction with award winning digital agency LBi, the website has been completely redeveloped, to reflect the new brand design and aircraft livery currently being rolled out across the fleet. Taking inspiration from other award-winning sites in the retail, banking and travel sector, the new site communicates with customers in Virgin Atlantic’s typical tongue-in-cheek stylish fashion yet provides a wealth of easy-to-find information and enhanced functionality. The site most certainly has improved, but still a lot of the elements are superficial and a few clicks from the homepage and you can find yourself still navigating around the old site. The easiest way of seeing this is for their most frequent fliers having to log into flying club, coming up with the old site straight away. Still, it’s been evident over the past few months, that Virgin Atlantic are starting to fill the holes and the site is becoming more complete. Still, what is your favourite website? In February TheDesignAir will be featuring it’s Top 10 List of Airline websites? 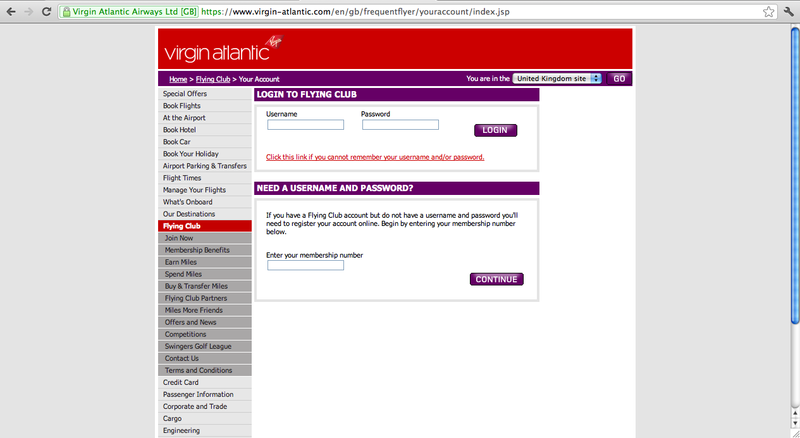 Will Virgin Atlantic feature, or will the inconsistencies prove a flaw in it’s online product? If some one wishes expert view regarding running a blog after that i advise him/her to go to see this web site, Keep up the nice work.